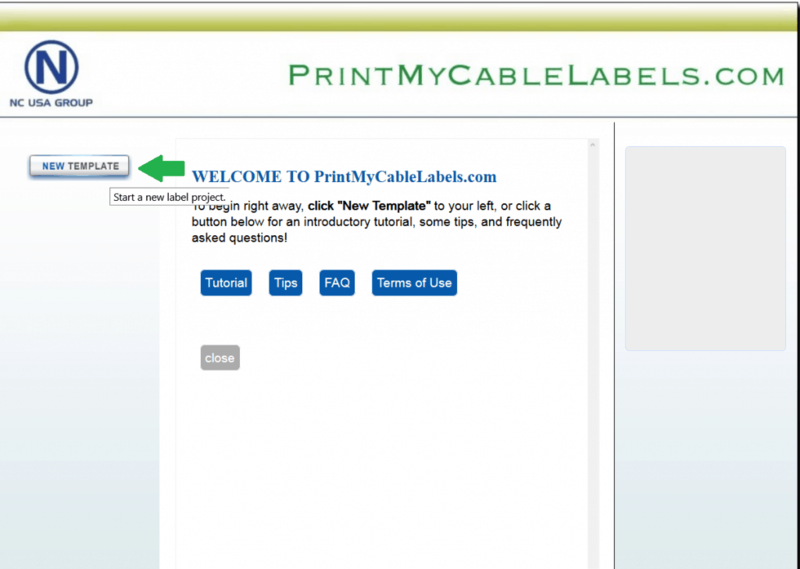 From any link on our websites in the USA, Canada, UK and South America, the opening page will show you a basic Tutorial, Tips, and FAQ to help you with your cable labels. On this page, we run through the operation of each area. Once you have the page open, please click on the “NEW TEMPLATE” to open the next window. 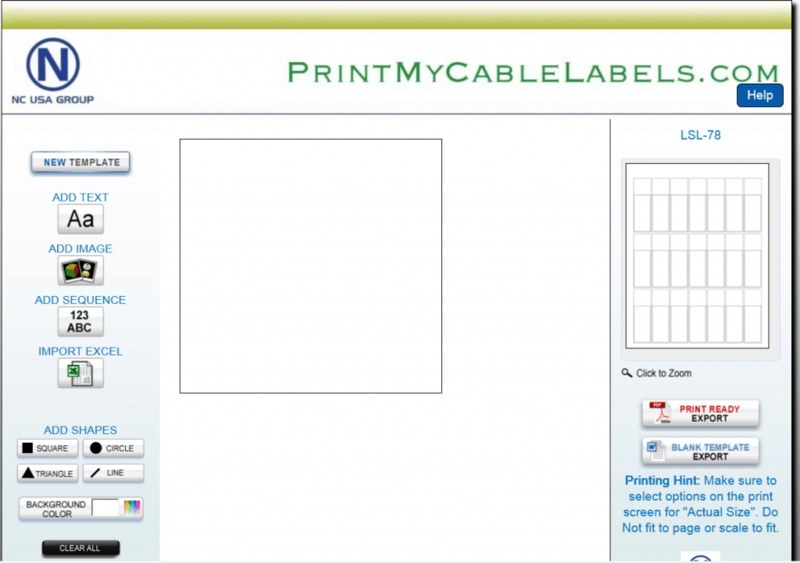 On the second page, you will see all our active templates for your cable labels. 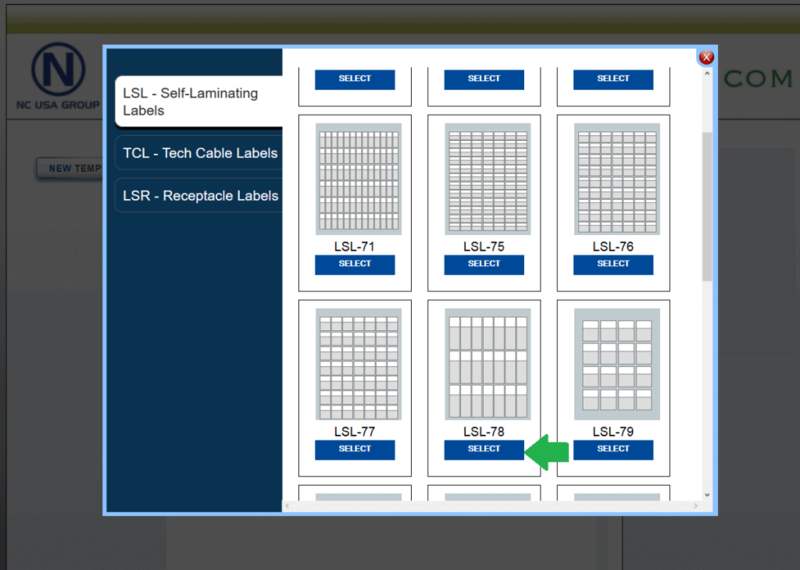 Select you labels LSL-78 and click the “SELECT” button. On the next page, you have a few options depending on which labels you select. Select “Blank” to have your own data on the labels, the other options change depending on which labels are selected. The pre-set options you can input your data into the labels to fill the information area as required of import from Excel for more complex cabling systems. 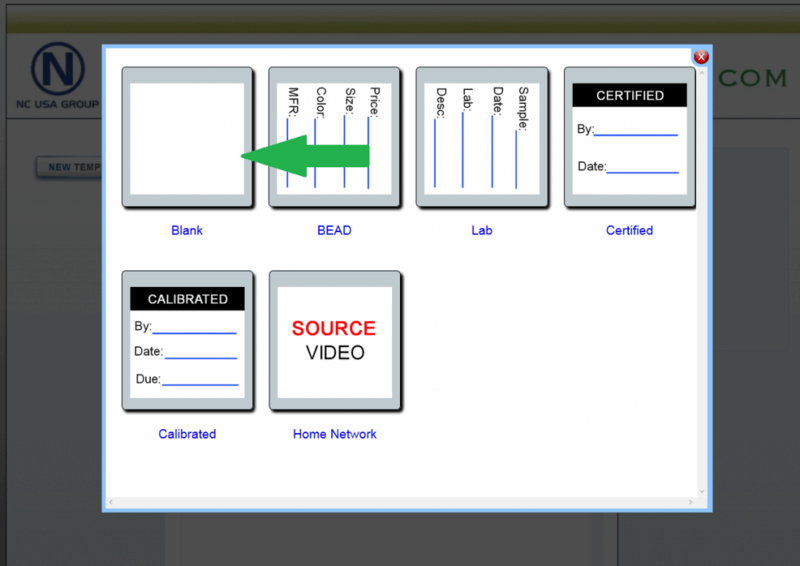 The next page will show you your cable label fields ready for your data into the LSL-78. The small drawing on the right gives you a small indication of the cable labels your area working on. The “BLANK TEMPLATE EXPORT” will produce a blank word.doc for you to use in MS Word if you wanted to go that direction. The Left side we will cover in more details for the production and printing of your cable labels.